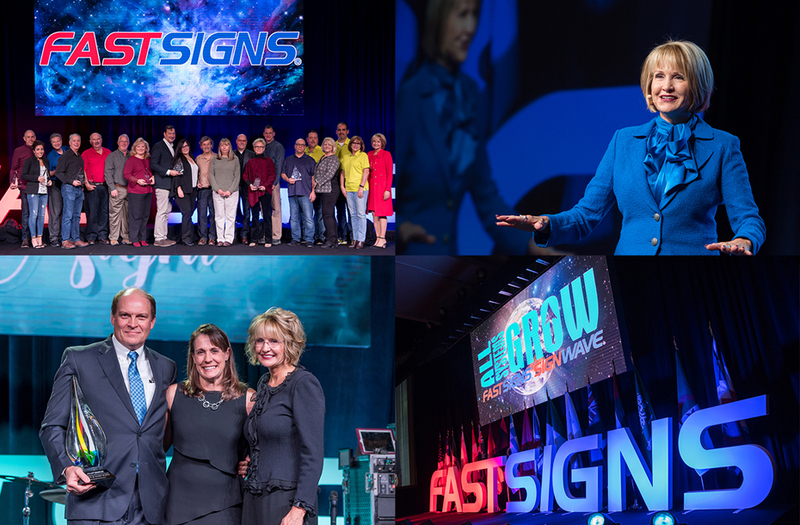 FASTSIGNS® International, Inc., a leading sign and graphics franchisor with more than 675 locations worldwide, held its 2018 FASTSIGNS® International Convention January 17-20 in Houston, Texas. Themed All Systems Grow, the four-day event celebrated franchisee achievements and the continued growth of the franchise network in both sales volume and number of locations. Over 710 people attended, which included FASTSIGNS franchisees and their center team members from 339 different locations around the world. Attendees had the opportunity to participate in educational sessions, peer panels and roundtable discussions. They heard from renowned keynote speakers including Daymond John, entrepreneur, investor, and star of ABC’s Emmy Award-winning series, “Shark Tank”; Lt. Col. Rob “Waldo” Waldman, decorated retired fighter pilot and founder of the Wingman Foundation; and Gerry O’Brion, founder of What Big Brands Know. * 2017 sytem-wide sales reached a record $479 million. 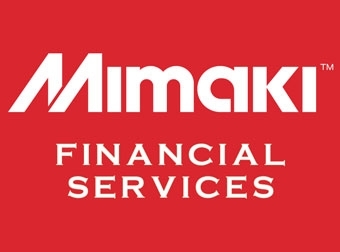 * 124 FASTSIGNS/SIGNWAVE centers exceeded $1 million in annual sales, which included 16 centers achieving over $2 million, two centers achieving over $3 million, two centers achieving over $4 million, one center achieving over $6 million, and one center achieving over $8 million in annual sales. * The prestigious FASTSIGNS Award, which recognizes franchisees that best represent the FASTSIGNS name and spirit both in the business community and within the FASTSIGNS network, was awarded to Shawn and Mark Glenn who own four centers in Dallas and Carrollton, Texas. The Glenns also become the FASTSIGNS Franchisee of the Year with this honor. * The Wide-Format & Signage/FASTSIGNS Project of the Year was presented to franchisees Karrie Brock and Shannon Benge in Toledo, Ohio for their branding project with City Egg restaurants. * FASTSIGNS held the largest vendor show to date with 176 exhibitors and 419 vendor representatives. * Grimco was presented the FASTSIGNS Vendor of Year Award. * Franchisees were recognized for outstanding sign and graphic projects in the 2017 FASTSIGNS Customer Solutions Awards, which included two grand prize winners: FASTSIGNS of Lancaster, Pennsylvania and FASTSIGNS of Boca Raton, Florida. * Five franchisees were voted on by other franchisees to be recognized for their local charitable initiatives in the internal FASTSIGNS “Show Us How You Care” contest, each winning a $1,000 contribution for the local charity of their choice. 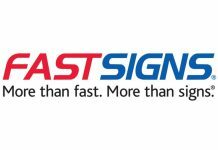 For information about the FASTSIGNS franchise opportunity, contact Mark Jameson at (214) 346-5679 or [email protected]. The 2018 FASTSIGNS International Convention was held in Houston, Texas.